May is finally here and yet I'm wearing a jacket. We just opened the shore house this weekend. Normally, we would have been down there already but not in this cold. The birds are coming - slowly. The nerds were in Cape May this weekend and had some new arrivals. 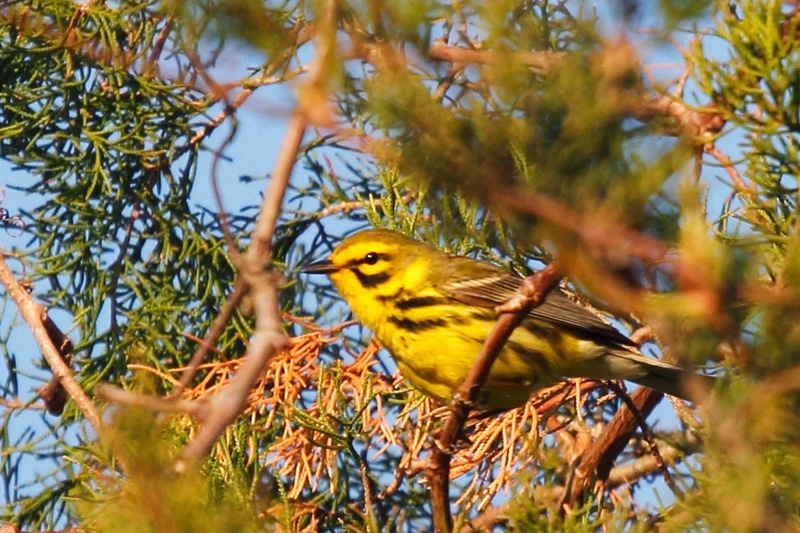 Yellow ones like Prairie Warbler. 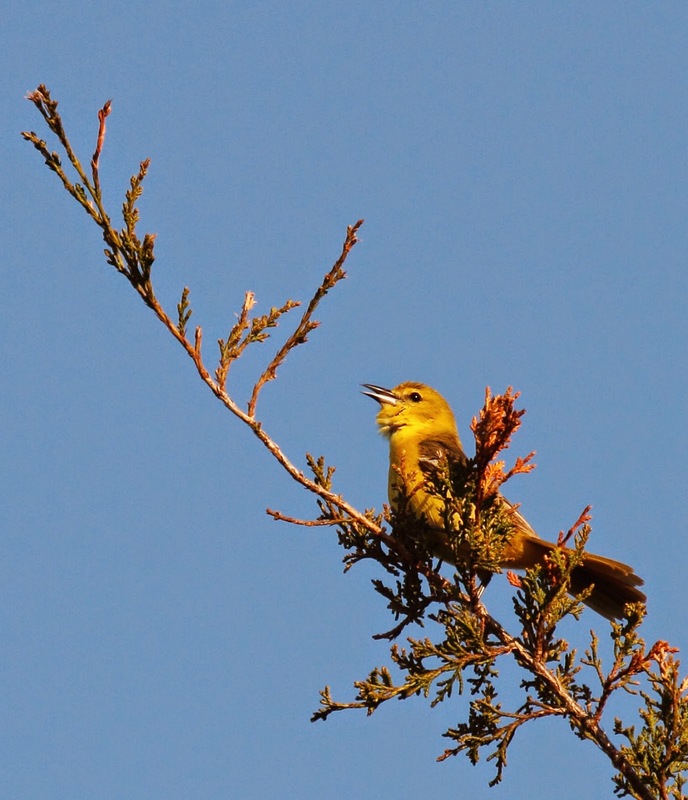 And this odd ball - singing female Oriole. I didn't think females sang but here she is. 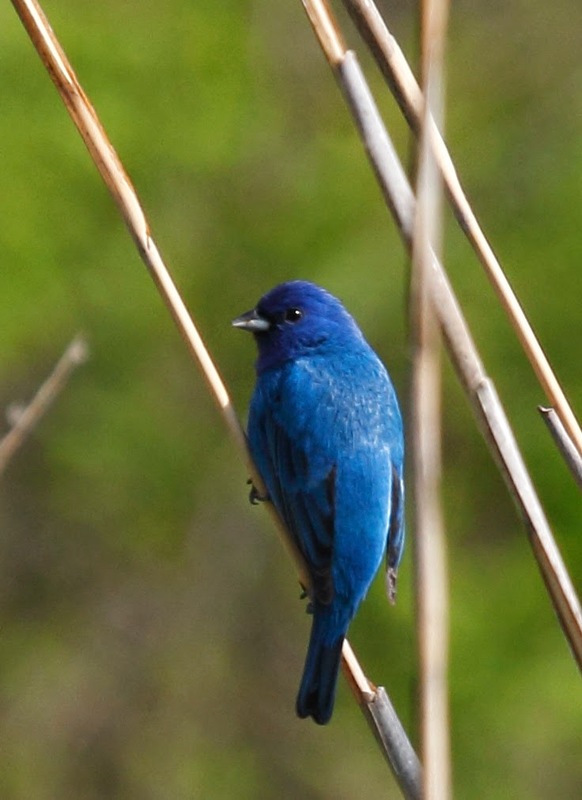 And blue ones like this Indigo Bunting. I found this guy hanging on to some tall grass. He is so brilliant! 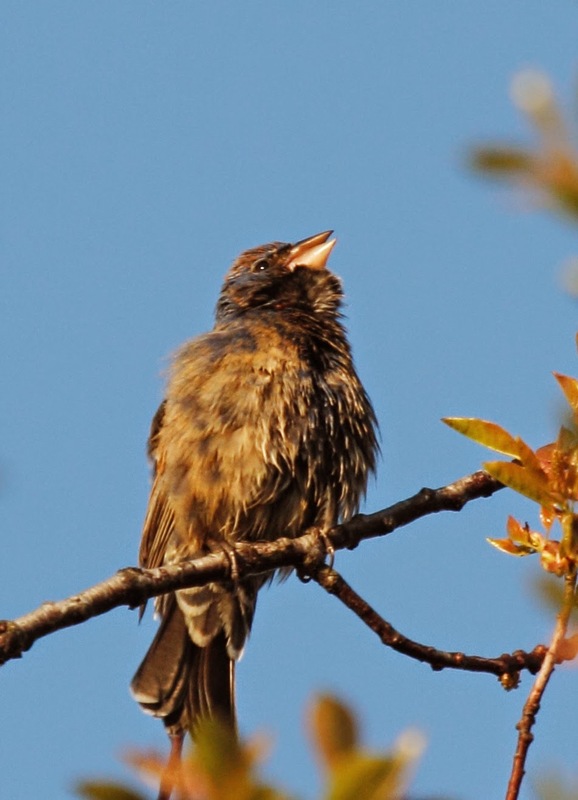 This Blue Grosbeak is supposed to be just as blue as the bunting but - not so much. He must be a young male who hasn't gotten all of his blue feathers yet but he certainly had his song going. He sat there singing away. What lady would cozy up to this guy? Another blue bird is this Bluebird - get it? 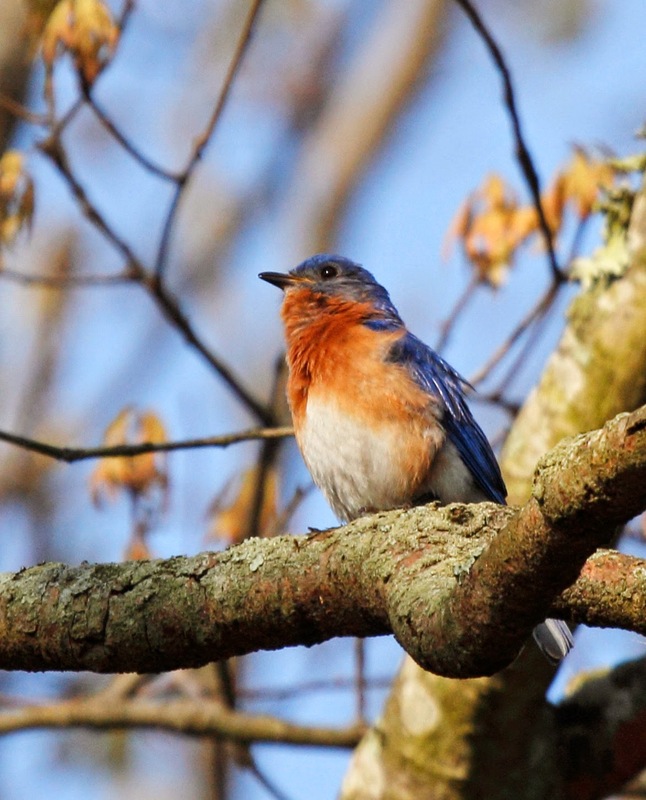 Blue bird, Bluebird? Huh? Here is he singing away at Villas. Along with the Bluebirds, we also saw an Osprey show. 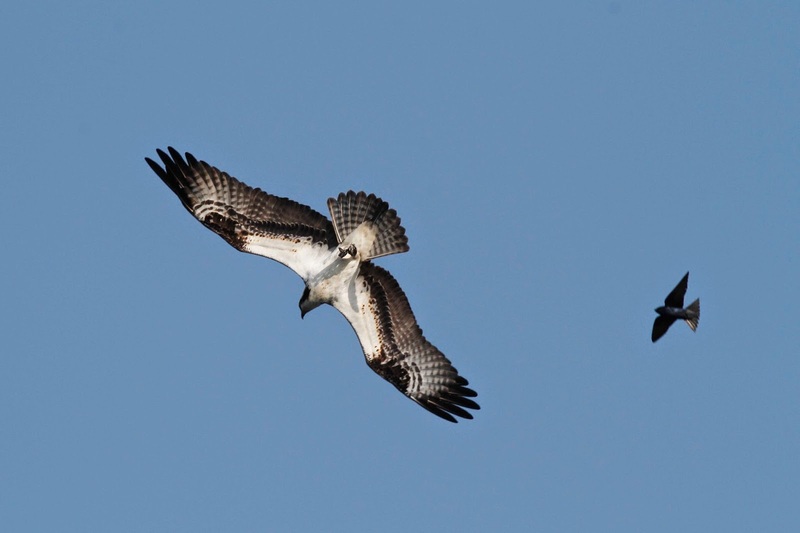 We watched a pair of Osprey "dance" around in the air above the lake. This one crossed paths with a Purple Martin. You can tell its an Osprey by the pattern under the wings. He swung around and looked right into the lens! 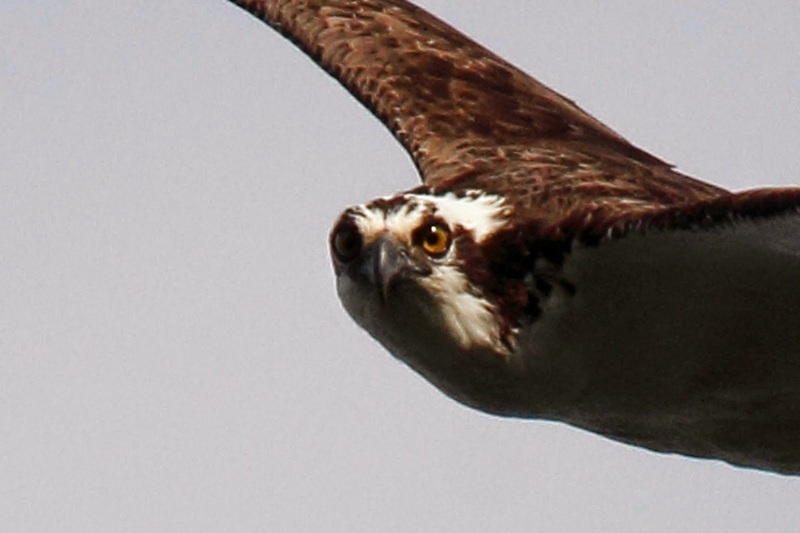 He looks pissed but Ospreys always look pissed. They never look happy even when they are dancing. 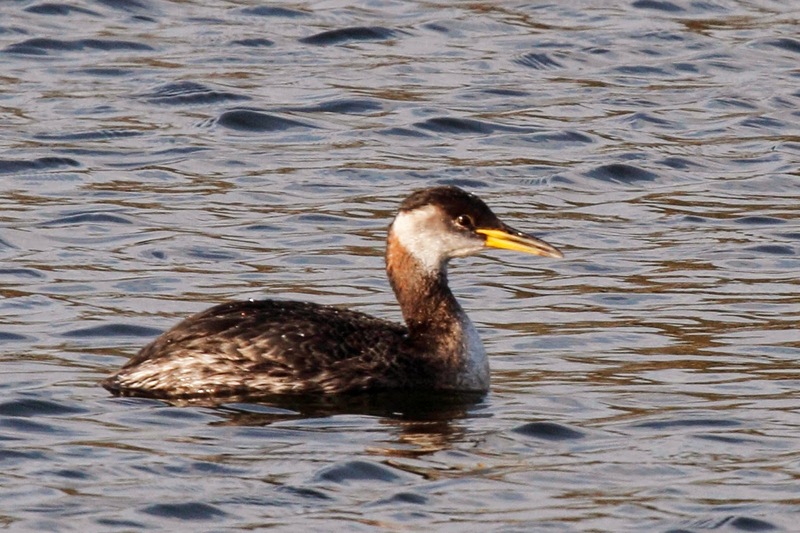 As for early scouting for World Series of Birding - one Red-necked Grebe is still hanging around. I hope he stays put for another 5 days before flying north. He's a beaut! Get those checkbooks out. We have an unusual team this year - me, Diane, Lori and a new addition - Harvey! 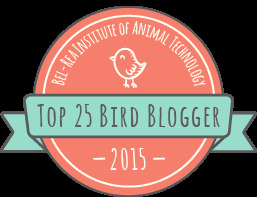 We expect to get alot of birds for the competition and hope that you can support us with a pledge for bird conservation! More scouting reports to come.